Fijian Holdings Limited chief executive officer Nouzab Fareed said National Federation Party’s candidate Attar Singh should retire and that Mr Singh was unable to comprehend how the private sector operates. Fijian Holdings Limited chief executive officer Nouzab Fareed and National Federation Party candidate Attar Singh. His comments come following revelations from Mr Singh that NFP would enforce laws and get the private sector to do away with contracts. “How old is he? This old way of thinking is taking us back to the 1960s Soviet where employment was given in return for food and accommodation. “We have 250 workers who have flexible hours. Does he know what flexible hours are? “He has never worked in the private sector so he does not know anything at all. 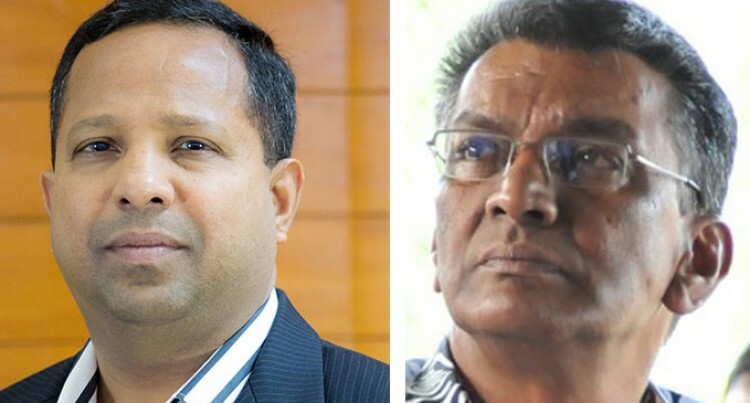 Veteran unionist Mr Singh while debating with FijiFirst general secretary, Attorney-General Aiyaz Sayed-Khaiyum, on FBC’s Aaina programme had confirmed this new twist in their policies.